Why feed your cat with boring home cooked food when you can let it savour these lovely chunks of tuna prepared specially for its tastebuds by Whiskas? 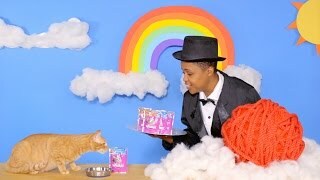 Serve your cat this cat food from now and watch your cute little kitty devour every bit. Usually Delivered in 8 - 9 days. 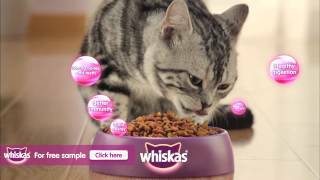 At flipkart.com you can purchase Whiskas Adult Wet Food Tuna Cat Food(400 g) for only Rs. 139, which is 7% less than the cost in Snapdeal (Rs. 150). The lowest price of Whiskas Wet Meal (Adult - Cat Food) Tuna, 400 gm Can was obtained on April 24, 2019 9:37 pm. This product contains 4 percent tuna, perfect for cats, people don’t get food in India, of course they are feeding reconstituted crap to animals! It’s cheaper to give your kittens store brought chicken! Didn’t like the packaging – bought it as I was feeling guilty about the amount of plastic waste the wet food sachets produce, but this is not the alternative as the lid cannot be closed in a convenient way. Improve the lid design, and release 1 kg packets with lidded containers.